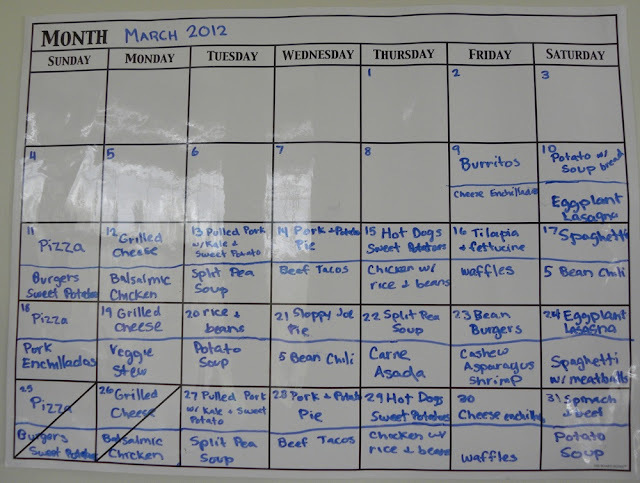 I finally decided that instead of writing my meal plan for the week in a small book that I keep in the kitchen, I would actually use the whiteboard calender that we have and write lunches and dinners there. Since Paul is home for both lunch and dinner each day, those two meals are usually sit down family meals at the table (I'm going to miss that when he's not a student anymore!). Since we've moved I've made more of a point of writing down a weekly plan, making a list and then going shopping for what's on the list. It's definitely made life easier, because when I'm tired I can just go to my weekly list and see what I'm supposed to be doing for that day, instead of trying to think of something. I didn't include sides (most of the time) unless it was something I needed to remember to add to my shopping list. 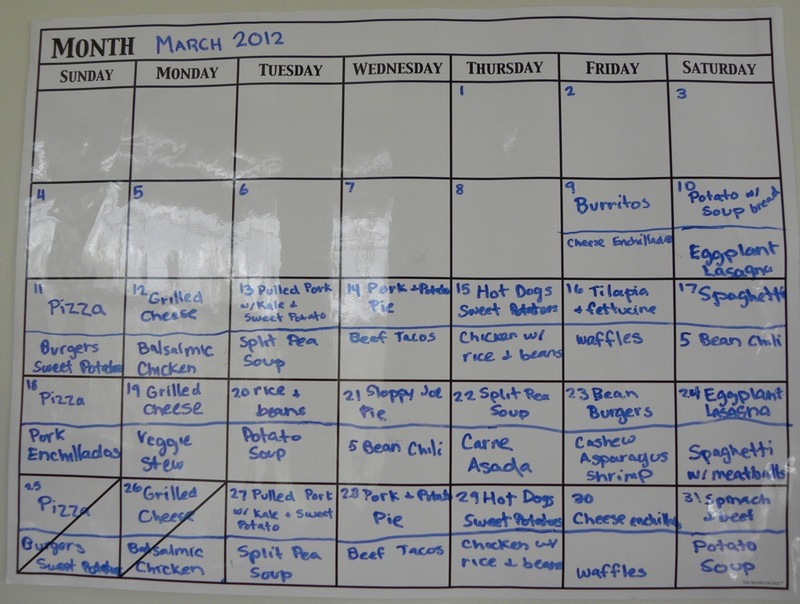 So here is the food schedule in our house for the rest of March! This is exactly what I have been doing for a while now. It makes it so much easier to shop and feed the family. For me, it made it easy because I need to work for the time being. So instead of coming in at 5 saying "what do i want to fix?" i already have a menu and food to fix.